Season 7 episode 10 - is that a UFO? The Walking Dead literally has millions of people watching it each week. 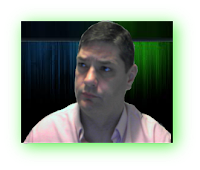 This past weeks show has caused a little bit of a stir in the UFO/Research community. Many, maybe millions, of people say they spotted a UFO in one of the scenes. I can include myself in the fold of those who saw it. 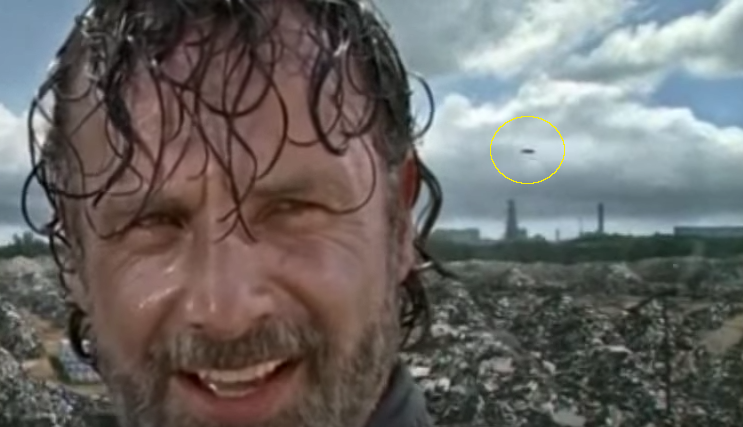 As I was watching the show, and Rick is on the mountain of trash, I saw something zipped by in the background. I thought to myself, that looked like a UFO in the background. Well, it appears I was not alone in what I thought. But just what was the object? Was it a UFO? an airplane? a bird? or something else? This has caused a little debate amongst people online. If you have not seen the scene, here is the very short video. Now, I can't say for sure what this is but I can tell a few things about the clip. This scene appears to be a green screen type of shot and there appears to be some artifacts around the UFO, if you really zoom it in. It could be normal pixel distortion due to the zooming but it could also be an added in effect using either a green screen or digital effect. If it was added in, I would assume it was just a kind of marketing ploy to generate a buzz. There is also the possibility that it is a known object (bird, airplane) but could it be a alien spacecraft? 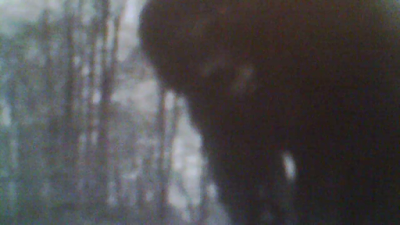 As you can see from my attempt at enhancing the object, it has the classic saucer shape. Maybe it is the real deal? This is not the first time a possible UFO has been captured on film during filming of a show. Well, another time was during a movie, but you get my point. The movie was a John Wayne movie titled Rio Grande. Over the years several explanations have been offered as to just what the UFO was, but some people do not accept any of them. Rio Grande was shot in 1950 and was directed by John Ford. I actually own the movie on DVD and it sure looks like a shiny UFO...but who knows for sure. Anyways, what do you think about the Walking Dead UFO? Is it real, added in, or just a known object? Could it be part of a disclosure project?